Congratulations to the 2014 Scholarship Recipients Zachary Doerrer & Rebecca Reidenga! While at Lincoln-Way Central, Zachary was a member of the Leo Club, Scholastic Bowl, Science Club, Tennis team, Mu Alpha Theta, and was president of the National Honor Society. Zachary plans on attending St. Louis University with a major in Biomedical Engineering. Rebecca was very involved during her time at Lincoln-Way Central. She was a member of the Softball team, Friends UKnighted, Science Club, and National Honor Society. In addition, Rebecca was an Adaptive Peer Leader and coordinator of the Lincoln-Way Central team for the 2014 Special Games. She was also received the Seal of Biliteracy in Spanish. Rebecca will be attending Judson University with a major in Special Education. 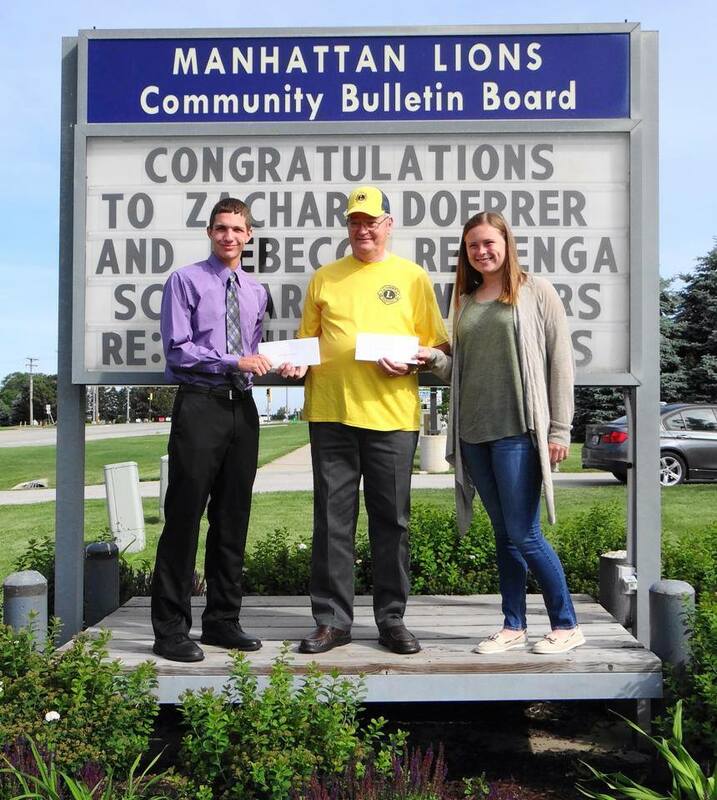 The Manhattan Lions Club is very proud to announce that our 2013 scholarship has been awarded to Natasha Bateman. Natasha graduated from Lincoln-Way Central High School with a 5.008 grade point average and she ranked 18th out of a class of 453! Congratulations Natasha! The Manhattan Lions Club is very proud to announce that our 2012 scholarship has been awarded to Kylie Zurek. Kylie graduated from Lincoln-Way Central High School with a 3.57 grade point average and ranked in the top third of her class. Congratulations Kylie!